I barely knew this was on at the cinema last November, it got such limited released here in Sydney. It seems to have been floating about for a while, and if Wikipedia is to be trusted (and why wouldn’t it be?) it has barely grossed a third of its budget at the box office. This film has cult written all over it. It has been praised by critics and I am not at all surprised. It’s very well written, and wonderfully acted. It replaces all this jaded teen drug-taking misery films with a whimsical juicy freshness that the genre was in dire need of. Whit Stillman has a pedigree of (apparently) wonderful films that I haven’t seen, Metropolitan (1990), Barcelona (1995) and the Last Days of Disco (1998), and was considered a bit of an American auteur at one point. Then he vanishes off the film making scene for thirteen years. Then suddenly, he’s back – with Damsels in Distress. 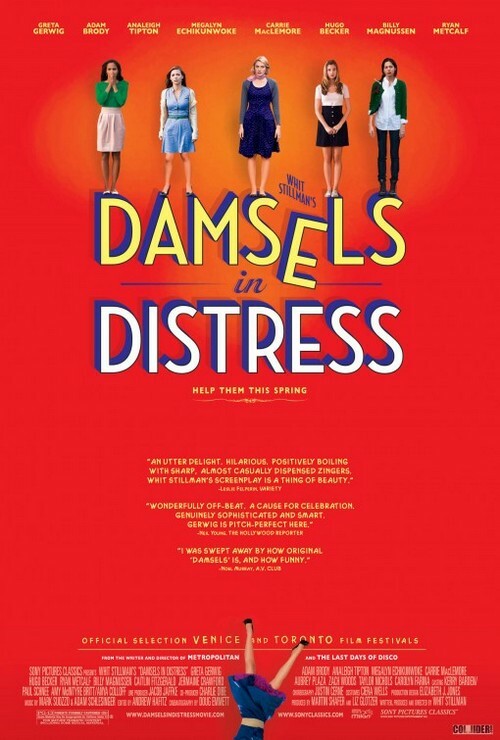 Damsels in Distress is an odd sort of varsity tale about overprivilaged girls (all with flower names – Violet, Lily, Rose and Heather) trying to prevent teen suicide with donuts and tap dancing. With subject matter this “hairy” you’d think there were going to be a lot of “ick” moments, but there were none. This film was nothing but witty, amusing and at times laugh out loud funny. 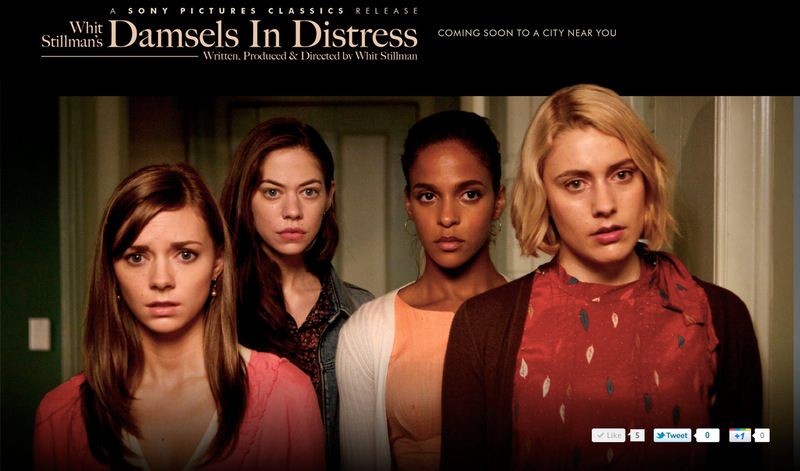 Greta Gerwig plays (extremely well) the perfumed, pampered Violet who is the philosophical leader of the group, espousing rather sensible/oddball theories like going after males who are inferior in order to preserve self-esteem and preventing suicide with fine scented soap. One of the biggest offenses – that the girls believe leads to suicide – is the male stench exuded by the local frat/animal-type house. In fact there are many odes to the genre here, from Animal House through Mean Girls, to Heather’s subtly woven into the films off beat narrative. In any other film, Violet would be the horrible girl, off the side, making snide nasty remarks about our underdog heroine. But Stillman unfashionably makes her the center of attention, a role she loves even as she feels she needs to work harder on her modesty. Stillman loves her too, this is obvious and he identifies with her. This is a woman who wants to make the world a better place by inventing a new dance craze, and for Stillman that sort of idealism can never be wholly wrong. A modernist kind of realism is the enemy of Violet and her entourage and Stillman makes no apology for this. In a way its an ode to the capitalist notion of invent the future you want for yourself through your actions today, with a good dose of this isn’t real to go along side it. In an interview with The Guardian, Stillman suggested Hollywood is too easy on the rebel and too tough on the “pampered rich kids.” The insiders are struggling as well, not just the outsiders. 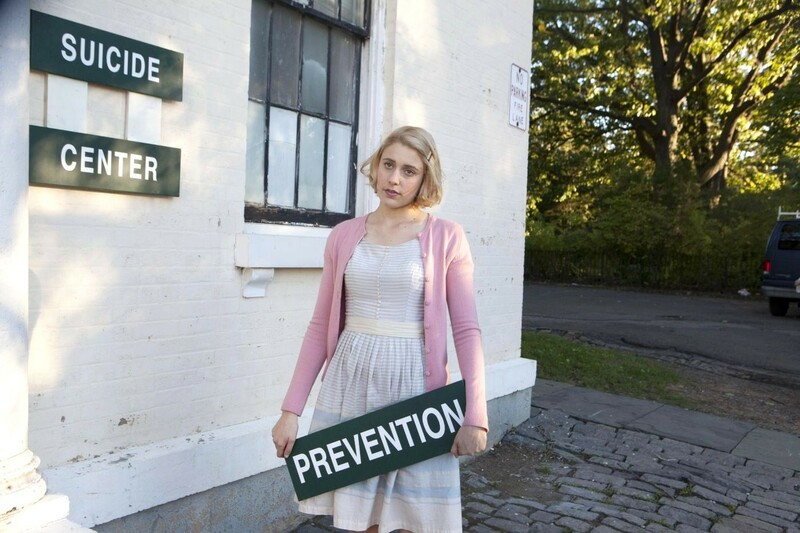 I do need to mention Greta Gerwig again who is really amazing as the vacant staring Violet. She is extremely good in this film. How anyone can punch so much depth behind such a vague character is beyond me. It’s a career writing performance – I’d cast her after seeing this. My final take on this quirky little film is make sure you see it, be prepared to not love it, but let it in enough to have a really good time. My guess is it will be well-loved in the future.